When ever I tell people that I have tattoo's and plan to get more I actually feel like I have to make it sound cool. 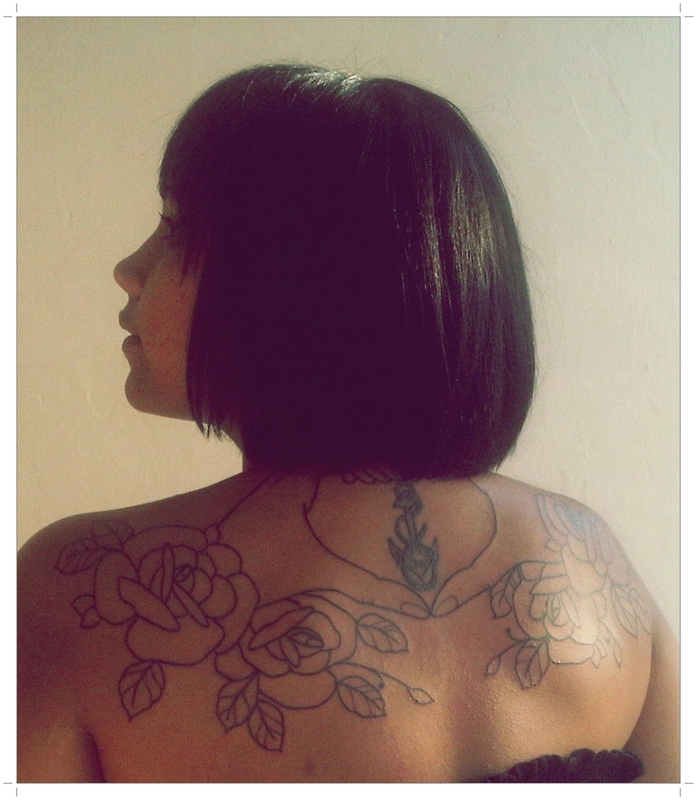 Like in a way I am not cool enough to be as obsessed with tattoo's as I am. I will often refer to my tattoo's as "ink", "pieces" or "work". I really want to tell you all about the latest addition to my little collection of tattoo's. and I am probably going to sound lame, uncool and yes, a little bit dorky. So brace yourself for the nerdon. Every tattoo I have has come on as a spur of the moment decision. 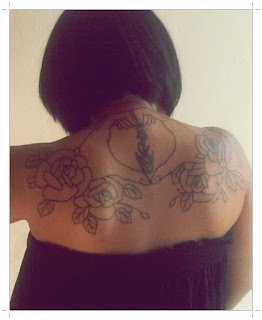 I am a spur of the moment person some time, not always, but usually with tattoo's. This one was a long while coming. Mostly because it would be so big and I have been mulling it over. Now that I have it I can't stop loving it. I love it every day. Sometimes even twice in the morning. Its just so pretty. Now its done, I am so happy and I cannot wait for the scabby stage to pass on by so that I can get all the colour work done. Pretty! Can't wait to see it colored! Are you going to cover the anchor? Takk takk! Don't have any immediate plans to cover it. I am already thinking of ways to fill the space around the hands and the anchor though. I am really happy with it. The colour will be in the leaves and the roses.